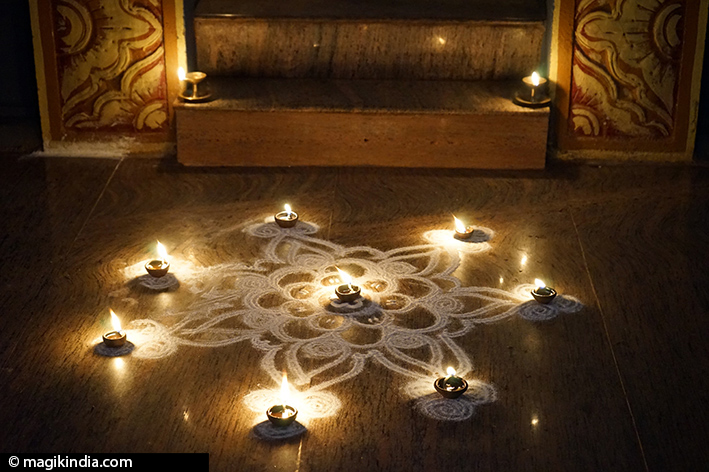 Kartighai or Kartikai Deepam is a Hindu festival of lights that is mainly celebrated in Tamil Nadu, South India. It falls at the full moon (purnami) between mid-November and mid-December –the month of Kartikai in the Tamil calendar, when the moon is in conjunction with the constellation Kritika, the Pleiades. The gods were being terrorised by the demon Surapadman and went to complain to Shiva, begging him to do something about it at once. On this, Shiva’s head split into six and a spark of fire sprang from the third eye of each head. Shiva asked the wind god Vayu and the fire god Agni to carry the six sparks to the river Ganga, which in turn carried them to Lake Saravana. There the six sparks became six fine babies cradled in red lotuses. The babies were raised by six celestial nymphs of the Pleiades, the Kritikas. 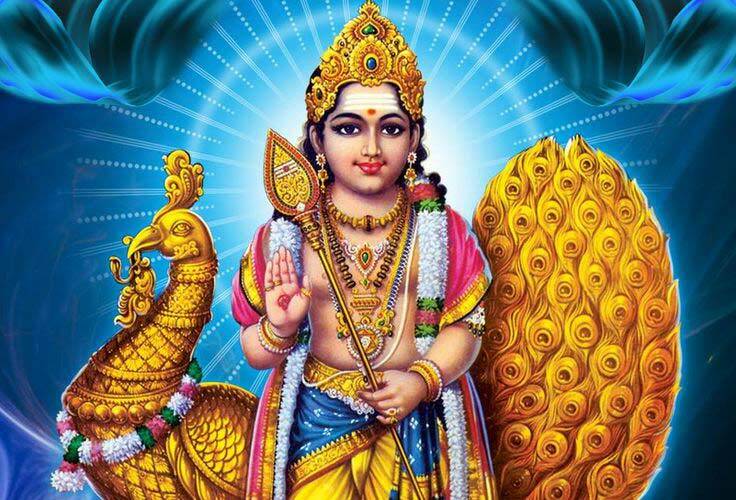 Muruga is also called Kartikaya, “son of the Kartika”. 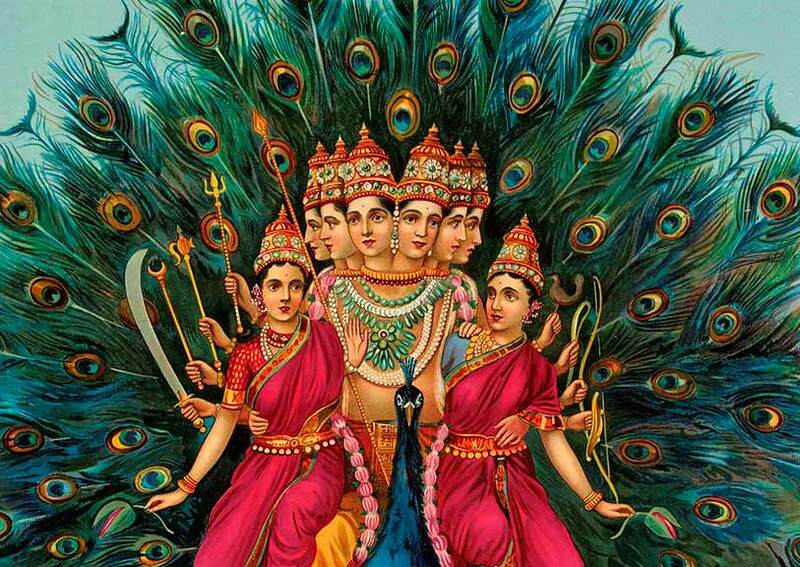 One day the goddess Parvati, wife of Shiva, went to Lake Saravana and hugged the six babies all together in her arms; they merged to form one baby with six heads and twelve arms. When he was older, Kartikaya killed the demon Surapadman and became commander in chief of the gods. To thank the six nymphs for having raised his son, Lord Shiva granted them immortality as stars in the sky. For Hindus, worshipping these stars is like worshipping Lord Muruga himself. At the Kartighai festival, the stars are represented by rows of oil lamps. On that day, Hindus light oil lamps (deepam) in their homes and outside as auspicious symbols. They are meant to ward off bad luck and bring joy and prosperity. The Annamalaiyar temple opens its doors at 2.00am and a special Pooja is perfomed on the 5 statues (‘Panchamurthi’). The main statue, Lord Annamalai, is decorated with the sacred diamond crown and golden shield. When the night comes, the temple is aglow with thousands of earthen oil lamps. A special container is then lifted to the peak of the hill; it is filled with 1000 litres of ghee (clarified butter) and camphor. 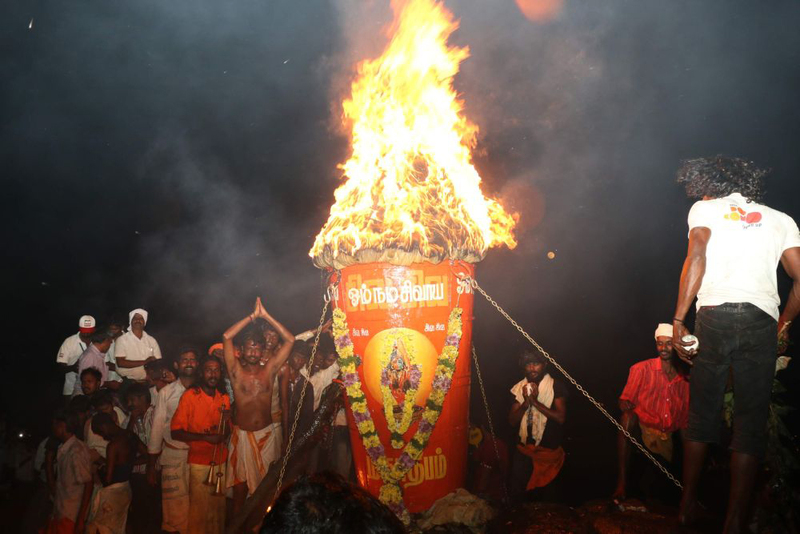 When the full moon appears, the Mahadeepam (the big fire) is lit ; it can be seen over a distance of more than 30 km. Devotees are then set to perform ‘girivalam’, the circumambulation of the Arunachala hill after this occasion.